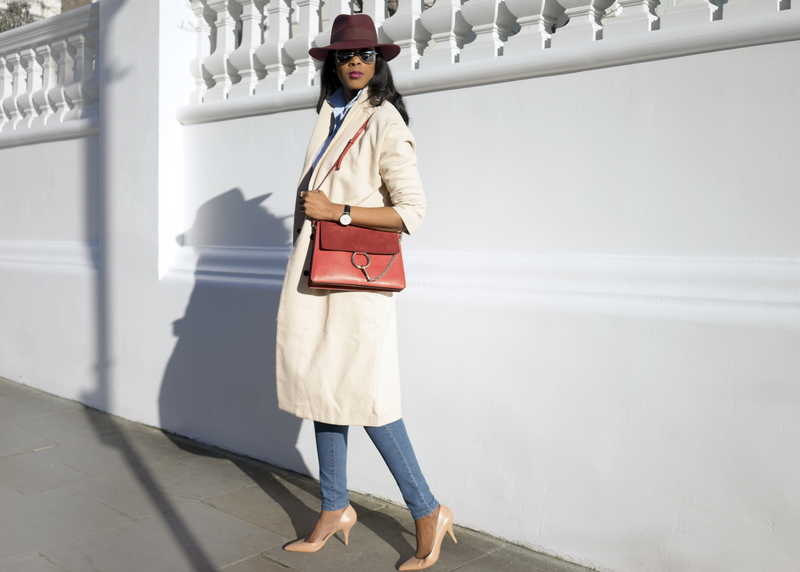 So I recently did a shoot for Dorothy Perkins to show their readers three ways us tall girls can style denim. You can read the full post here. The jean in question was their current Eden style which is a super skinny jegging jean... perfect for us leggy girls and this style comes in a 36" leg which comes up longer. And even though these are jeggings, they have pockets and stitching just as regular jeans. I can't tell you just how comfortable these babies are. I mean, I have never worn jeans with an elastic waist before but I really can't stress how good they feel. They fit high on the waist with just enough stretch to head out for a night of partying or curl up on the sofa. DP have created a selection of denim styles to suit all shapes and sizes. 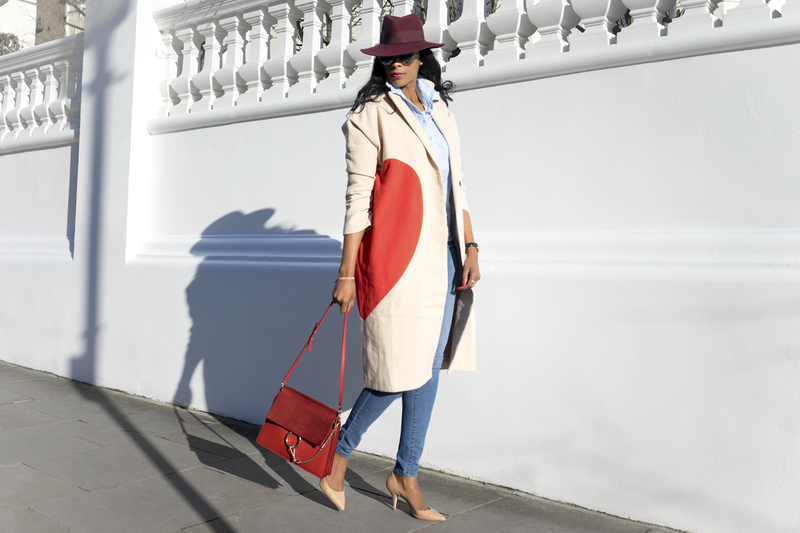 For my first look I styled these baby blues...creating a double denim outfit combined with this camel coat with a bold splash of colour. 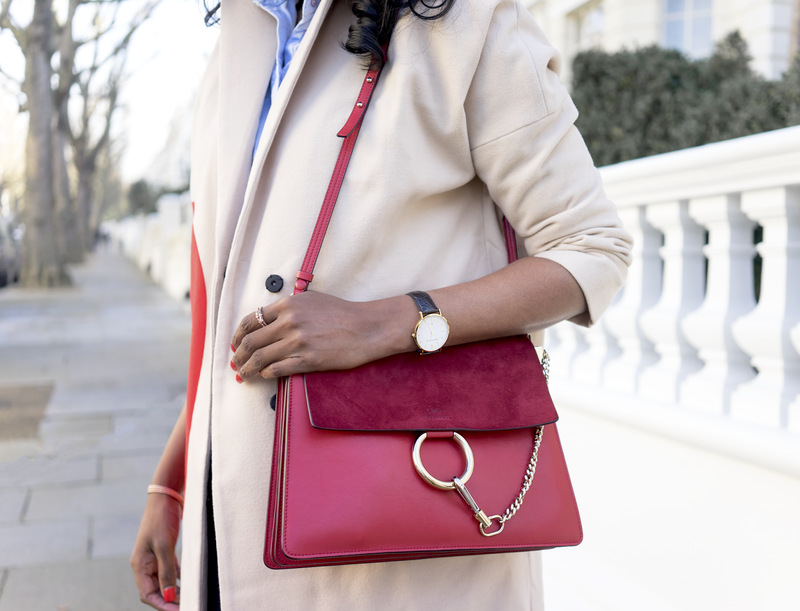 For me there is nothing better than a statement coat to layer over my jeans. 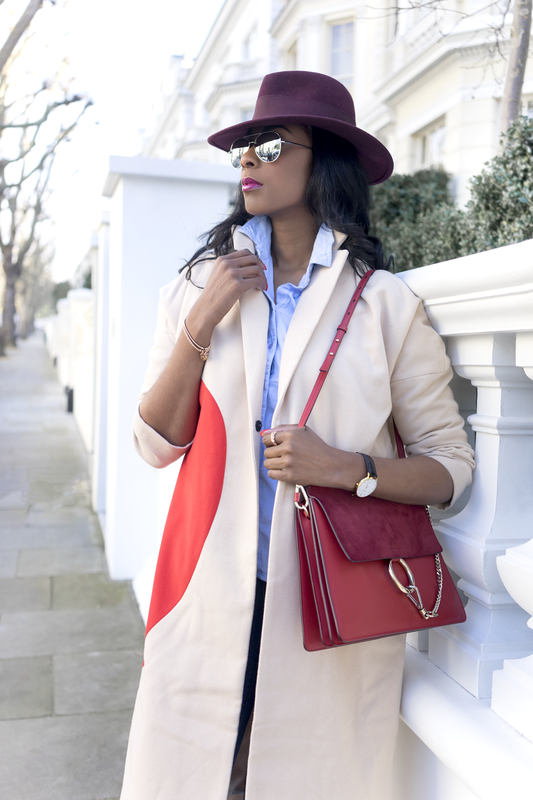 This style is quite oversized but works well that way. Double denim is a great combo to dress up or down with a pair of heels and still always provides a polished yet not tried too hard look. 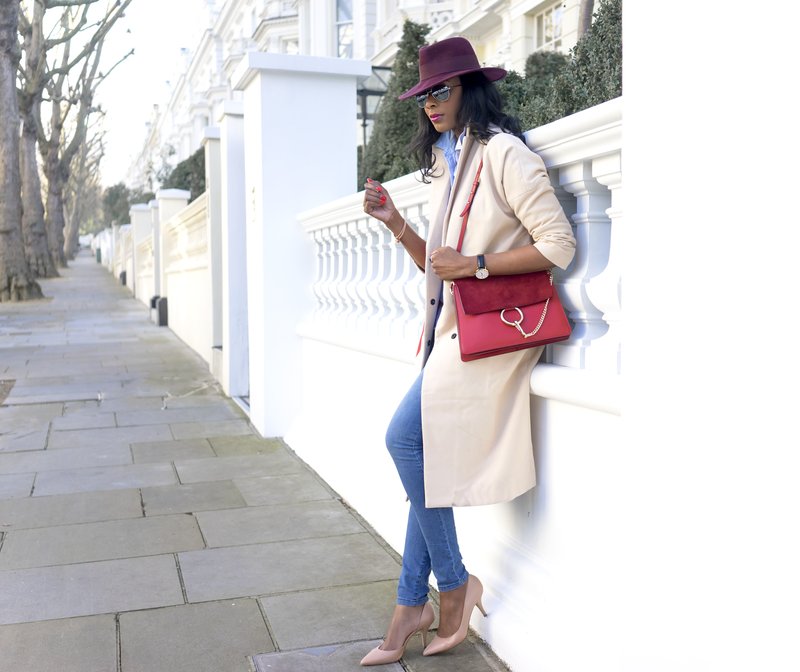 My second and third looks will be featured on the blog later this week, so make sure you check in to see how I style my DP jeans. Nice and Excellent Hats. The blogs is also informative. Hats from world's largest online shop pocket and pearls.